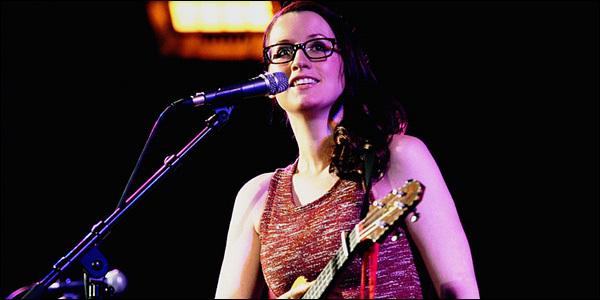 "A terribly poor grasp of the English language"
If you're in the middle of an all-consuming crush, Ingrid Michaelson's The Way I Am is the perfect song for you. Over a gummy double bass, the singer blushes her way through silly sentiments like, "I love the way you say 'good morning'". It's a miracle the song doesn't end with someone going "no you hang up first". Released in 2008, The Way I Am was used in an advert for Old Navy clothing (there's a lyric about sweaters) and made the singer famous in the States. OK not exactly famous famous: Michaelson describes her status as "somewhere between Lady Gaga and the girl who hosts the open mic night at the coffee house". But the song has taken on a life of it's own and, for years, fans excitedly approached the US singer to inform her The Way I Am was their wedding song. And so she grew to hate it. "What I began to hear was, 'we're getting married and you're going to die alone and your cats will eat your corpse,'" she deadpans. Thankfully, Michaelson got married last year (to fellow musician Greg Laswell) and The Way I Am has been resurrected. 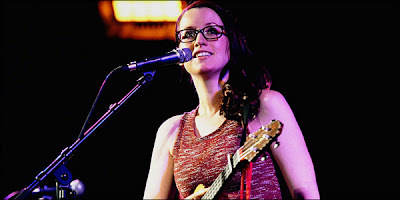 It formed a central part of her warm-hearted set at London's Union Chapel last night. Cute, self-deprecating anecdotes like the one above peppered the show, in which Michaelson was backed by just two musicians - Allie Moss and Bess Rogers - whose harmonies were as heavenly as the setting. On records, the singer (who refuses to sign to a major label) has often been suffocated by pillowy production, but in this environment she shone. Even the ridiculously twee psychobabble of Be OK sounded fresh and energised. During Ghost, Michaelson's vocals sounded more broken and desolate than ever before. "When I first played this to my mom," the singer recalled, "she asked if I was ok". You could see why. The audience loved this stripped-back, exposed approach. There was even a genuine "we want more" encore - during which Michaelson played Elvis's Can't Help Falling In Love, inviting the crowd to sing the hook. Like the rest of the gig, it was generous, inclusive and full of quirky charm. I'm pretty certain a few people stumbled into the bitter night with a Ready Brek glow.